Classic and contemporary merge in the renovation of a 15th century farmhouse in the province of Siena, the work of CMT Architetti. 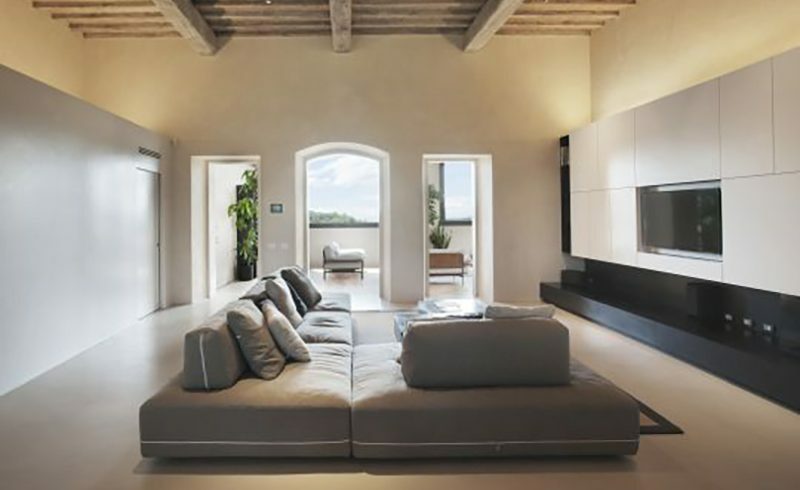 The Ditre Italia Sanders sofa is chosen by the two Italian architects to furnish the spacious, airy living room. 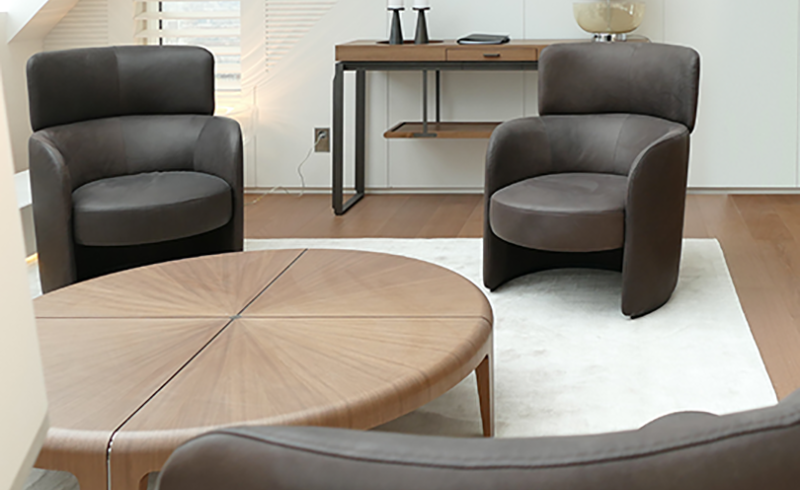 A modern functional apartment offering every possible comfort, where two visions with very distant and differing periods and styles coexist in perfect harmony, in continuous pursuit of common ground. 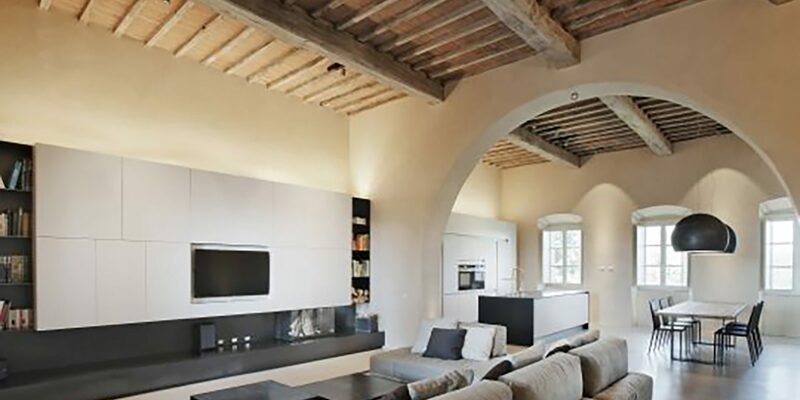 This is the concept at the heart of the project masterminded by architects Paolo Mori and Simone Carloni from Siena, to breathe new life into the piano nobile of a 15th century farmhouse. The property, located in the municipality of Monteriggioni (SI) just a short distance from Chiocciola castle, is attributed by many scholars to the painter and architect from Siena, Baldassarre Peruzzi, who worked in the area at the turn of the 16th century. The leitmotiv of the renovation project was to respect the original parts of the house, adopting a philological tone for the restoration, while inserting contemporary elements through new work and, more importantly, the furnishings. CMT Architetti chose Sanders for its features which are perfectly in keeping with the underlying theme of the project. Informal, destructured and modular, Sanders blends in seamlessly with the new room that has been created within these ancient 15th century walls, inevitably drawing all the attention to itself.